It is that time of year that we start pulling out our favorite comfort food recipes and sharing them with our family and friends. It is a great recipe to pull out when company is coming over because it is quick, easy, and turns out delicious every time. 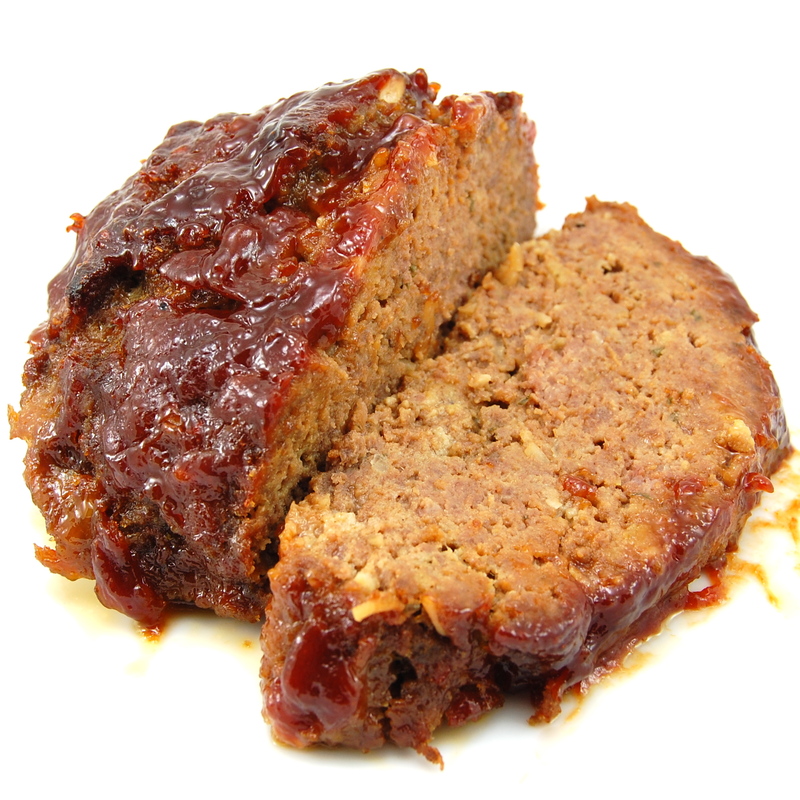 Moist, delicious meatloaf encased in a brown sugar glaze. My husband loves when I make this meatloaf because he gets to eat it hot from the oven one day and in a meatloaf sandwich with swiss cheese the next. I used to hate meatloaf, I thought it was dry, tasteless, brick of a dinner. That was until I found this recipe! The worst thing that you can do when making meatloaf is baking it too long. During the last 15 minutes of baking I watch the internal temperature of the meatloaf very carefully, as soon as it registers 160 degrees F on the meat thermometer I take it out of the oven. Serve with mashed potatoes, green beans, buttermilk biscuits and apple pie for a comforting fall meal. Preheat oven to 350 degrees F (175 degrees C). Line a casserole dish with foil. In a small bowl, combine brown sugar, ketchup and 2 tablespoons Worcestershire sauce. Divide evenly among three separate bowls; set aside. Bake in preheated oven for 1 hour, until juices are clear or until thermometer inserted into the loaf reads 160 degrees F. Let stand 10 minutes before slicing. This entry was posted in Beef, Main Dish and tagged beef, ground beef, main dish. Bookmark the permalink. Nothing like a really good Meatloaf. Your recipe sounds really delicious. On a side note, I “tagged” you in the Blog Tag Game. Hope you don’t mind. I think this is exactly or at least close to the recipe that I use. Best meatloaf ever! This meatloaf looks delicious. Reminds me of something my mom might make! A recipe worth keeping ! I haven’t made a meatloaf in ages. You’ve inspired me! Never made meatloaf with brown sugar! Yummm! I made this recipe from allrecipes about 5 years ago and I don’t understand how you got yours to come out so well. Mine basically fell apart, mushy and watery. Well done though, looks beautiful! this looks so delicious:) and i really love how stunning your photos are… thank you for sharing this. This is delicious! Have made several times and is now firmly in our favourites category. Thanks!